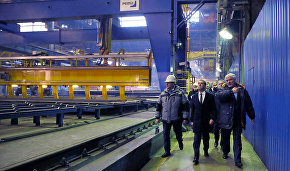 The authorities will commission new icebreakers, including at the Baltic Shipyard, Prime Minister Dmitry Medvedev said when he met with Baltic Shipyard workers during his visit to one of the shipyard's shops. The shipyard employees told the prime minister that some workers had left the shipyard due to the decline in new projects, which of course determines their income. 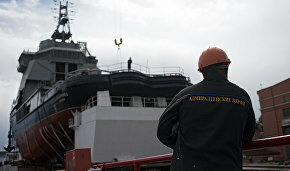 Head of United Shipbuilding Corporation Alexei Rakhmanov responded that commissions for new icebreakers were on the way. "We will commission new icebreakers today; there is no doubt. So new projects are guaranteed. The main thing is to do everything on schedule and pay salaries consistently," Medvedev said. 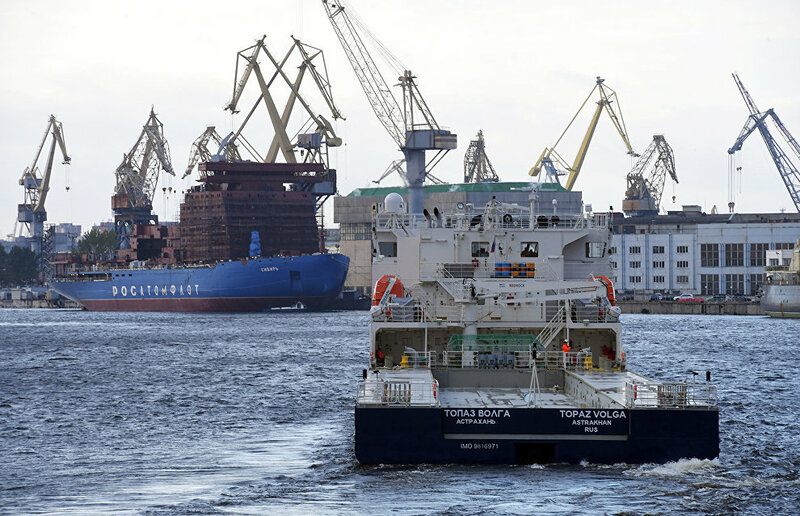 He said that the meeting at the Baltic Shipyard on Wednesday would be on developing the icebreaker fleet and that the most important decisions on funding would be made, because if there are no new projects there would be no new icebreakers and no income for the workers. The workers said the shipyard has a lot of young employees. "This is a shipbuilding city with experts in many fields, so I hope that the number of young people in this field will grow," Medvedev said.